The Magnuson Environmental Stewardship Alliance has been working at improving Seattle's Warren G. Magnuson Park for nearly two decades. Our work has included obtaining and administering large grants, participating in park development planning, serving on park project advisory teams and committees, leading countless work parties, individual stewardship on areas, and more. 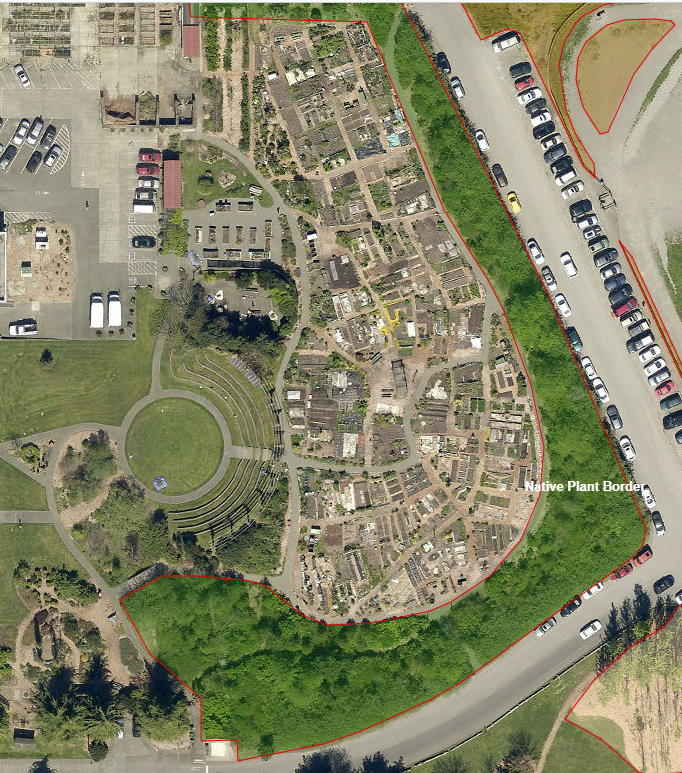 Each year we provide and install many plants at Magnuson and also provide about $70,000 or more worth of volunteer labor for site preparation, maintenance, planting, and other work. The outcome of the work gives people places to experience and enjoy the physical, psychological, and spiritual benefits of being close to nature without need to leave the city and also provides other ecosystem services such as wildlife habitat, air and water cleansing, temperature moderation, storm water flow reduction, and a small amount of carbon sequestration. The Magnuson Vegetation Management Plan and park policy guide our work. ​​Totaling about 14 acres the Promontory Point section of the park is located south of NE 65th Street and ieast of 65th Avenue NE. It ncludes an education pavilion,a butterfly garden, and good trails. 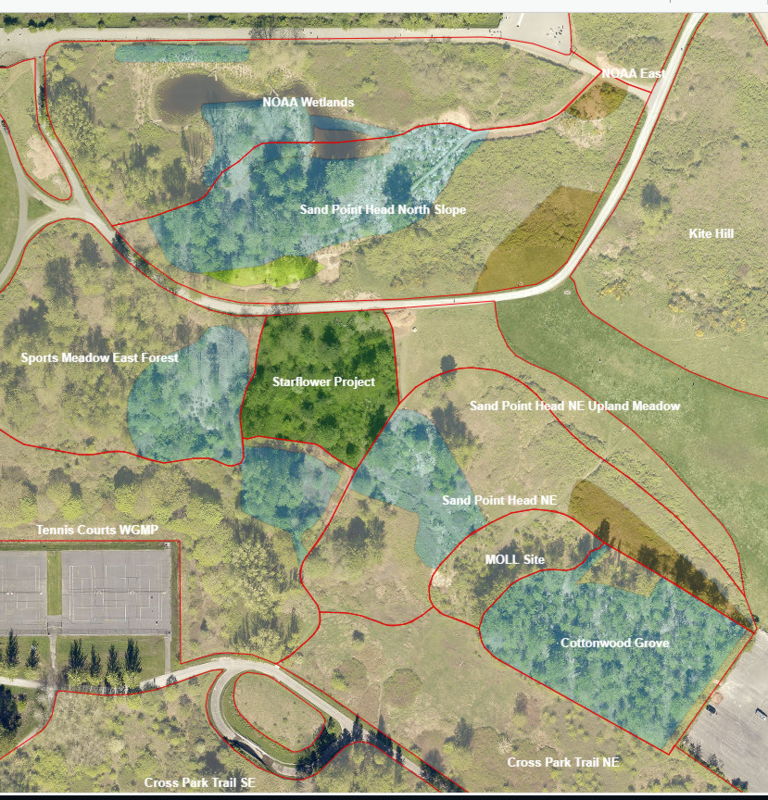 The short stretch of 65th Avenue NE between Promontory Point's west side entrance and NE 65th St. can be used to link Promontory Point trails with other sections of the park to create loops. ​The Forest Remnant Zone located near NE 65th St. and Sports Field Drive NE contains the largest and oldest trees in the North and South Woodland sections. The North Woodland has been undergoing restoration from being almost totally covered by ivy and other invasive plants since 2006. 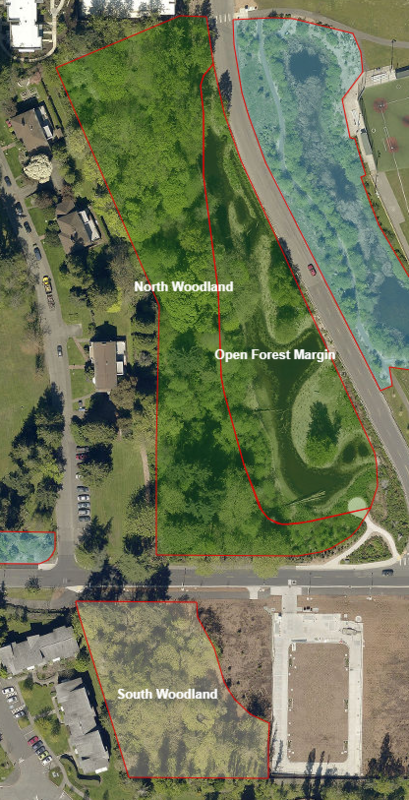 The Open Forest Margin section contains the Magnuson Headwaters wetland, created by park staff in 2013. . A short but enjoyable pedestrian trail runs through the North Woodland from from about 100' east of 62nd Ave. NE on NE 65th St to a point near the baseball back stops Sports Field Drive NE. The Native Plant Border which consists largely a hedgerow and swales surrounding the Magnuson Community Garden and located east of the Brig building, north of the Junior League Play Area, and west of the off-leash area, and south of the NOAA fence line was first planted in 2001 and provides wildlife habitat, screening, a chance to see a variety of native plants. 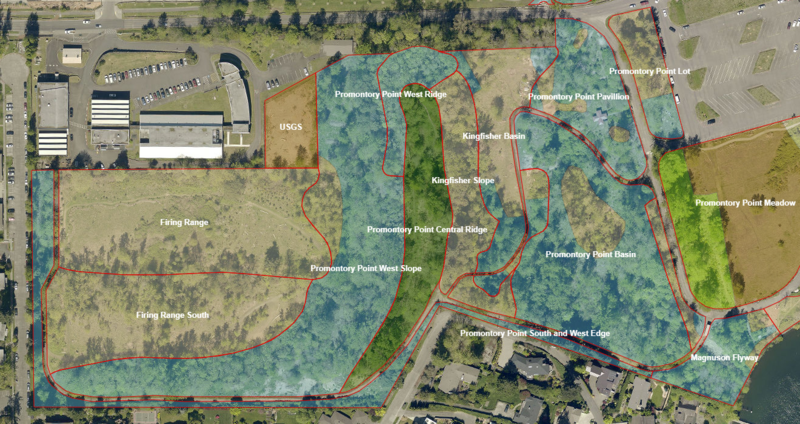 Area stewarded by the Magnuson Environmental Stewardship Alliance includes the dark green colored area in the photo plus the area adjacent to the amphitheater circle's southwest quadrant. Projects located on the crest and flanks of Sand Point Head from the swim beach parking lot and mowed portion of the hill to the Sports Meadow and NOAA fence line include the Starflower project near the crest which was planted in 1997 and a series of projects begun since 2009 intended to ultimately create what will be the second largest contiguous forest area of the park. Part of the North Cross Park Trail and a shorter trail lower down the north slope run east to west through the area. Park staff constructed the Wetland located along the NOAA fence line in autumn of 2012.